If you are convicted of Drink Driving, or one of a number of closely related offences, you can expect to be disqualified from driving and either ordered to pay a fine, to do community service, or even be sent to prison. We are expert at defending your interests. The sooner you contact us the sooner we can advise you of your options and begin to help you. 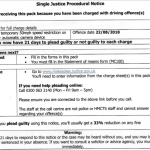 What should I do if I have been charged with a drink drive offence? A total of 613,090 people were charged with drink driving from 2005-2015. Statistics show that 595,093 (97%) of defendants charged were subsequently convicted (source DrinkDriving.org). Some drink drive lawyers give the impression that virtually every case should be contested. Claims about ‘success rates’ can give rise to false hope and be very misleading as each case turns on its own facts. For more information about success rates read my blog here. We listen to our clients’ instructions, assess the evidence in the case, and then give advice on the merits in your interests rather than simply encouraging our clients to contest every case. A total of 613,090 people were charged with drink driving from 2005-2015 Statistics show that 595,093 (97%) of defendants charged were subsequently convicted (source DrinkDriving.org). Some drink drive lawyers give the impression that virtually every case should be contested. Claims about ‘success rates’ can give rise to false hope and be very misleading as each case turns on its own facts. We listen to our clients’ instructions, assess the evidence in the case, and then give advice on the merits in your interests rather than simply encouraging our clients to contest every case. Should I plead ‘Guilty’ to Drink Driving? 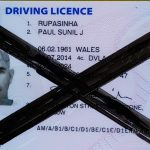 It is not easy to come to terms with pleading ‘Guilty’ with the loss of driving licence and other consequences that may follow. However, admitting an offence in court entitles you to ‘credit’ for the ‘Guilty’ plea. This means that your sentence will be less severe. It could be the difference between avoiding a harsher penalty such as community service or even prison and, in practice, tends to result in shorter bans. Do contact us if you want to discuss how a ‘Guilty’ plea could soften your sentence. Can I Plead Not Guilty to Drink Driving? Yes, of course, a motorist can plead ‘not guilty’ to any offence. We pride ourselves in our skill in defending cases in court. 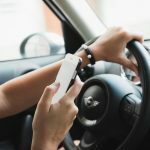 It is important to note that even though a motorist may want to plead ‘Not Guilty’ if the evidence of guilt is strong fighting a case may not be in his or her best interests. Sometimes contesting a case where the defence is weak will only serve to increase legal fees and court costs as well as the severity of the penalty which follows upon conviction. At Kent Traffic Law we only give advice which is in the best interests of our clients. Once a client has received expert advice and made up his or her mind as to how to plead we then act upon those instructions and seek to obtain the best possible result. The law surrounding drink drive related offences is complex. Every case has unique factors meaning that the outcome, whether you are pleading ‘Guilty’ or ‘Not Guilty’, cannot be predetermined. If you want us to help you make the most of your case don’t hesitate to contact us straightaway.